David Zampech brings over 25 years of retail experience to Benchmark. David started his life on the family farm in the heart of the Lockyer Valley and eventually left to start a career in retail. His career in retail began in Woolworths and over 17 years had worked in a variety of positions from trolley collector to store manger and all roles in between from 1989 to 2006. 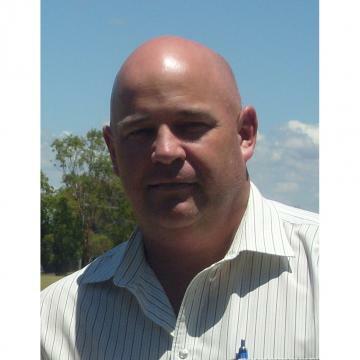 David left the retail world to work as a sales representative for numerous companies but was still involved in retail in some way with his wife working in a SUPA IGA store in the lockyer Valley. His passion for retail was to great and returned to the retail sector in 2012 as New Business Manager for Foodworks. David’s knowledge of supermarkets is only surpassed by his drive for success. In his downtime David is a keen fisherman, avid cricketer and enjoys playing mixed netball with his wife and 3 daughters. Contact David Zampech today if you would like to sell your business. 4 Supermarkets For Sale – 1 Owner – ALL run under Management. Queensland. Very rarely does an opportunity like this present itself where a cluster of stores all within 10km of each other comes onto the market all within 30 mins of the Sunshine Coast and Brisbane. These stores are all run under management with little Owner invlovement as they live elsewhere in the state. Key Points – Stores located within 10km of each other. All competition in place. Busy road locations. Great Local support. The Owner of this store in Ipswich has relunctantly decided to sell his business after almost 30 years in the family. The store is very neat and tidy and in a small strip centre with a bottle shop next door. And is a pure convenience offer. With a little bit of remodeling inside and adding some fresh foods, maybe Rebranding the store and also reviewing the offer would certainly improve sales and profitability. Supermarket in a busy shopping complex; Well-presented, minimal maintenance store; Perfect for owner operator; Nearby Competition already established; Close to public transport and major arterial road nearby; Ample Car parking directly at front; Business Snapshot: Avg weekly sales - $65,000; Store Size: 525sqm; Rent: $9,657/mnth +GST - = $220/sqm; GP - 22%; Wages - $5,300/week; The Business is priced at $450,000 + SAV * Own Due Diligence required. This very popular Foodworks Supermarket is located near the city of Toowoomba QLD. The store has strong profitability and a consistent sales base, which is well maintained. The profitability of the business is well supported with a great category mix. This well established IGA Supermarket in Tropical North QLD and is for sale as the owners have decided to retire after 25 years. This store has been 'husband and wife team' for this period and have built the store up so that it potentially could be run under management. The owners also have the freehold available to purchase which will let you control your own destiny and also have some extra equity in your business. Key Points: -Well-presented, low maintenance store. -Ample Car parking. Owner Operator Wanted for Supermarket For Sale. Currently Under Management. Brisbane, Queensland. This store has a a great opportunity for an Owner Operator to take this business to the next level. Located in a strip centre supporting the local community this consistant performer is primed for someone who wants to work hands on in the business. Key Points: Stores located within fully tenanted strip centre. All competition in place. Busy road locations. Main Tenant in centre. Easy to run. This store has a a great opportunity for an Owner Operator to take this business to the next level.